gotFusion has partnered with Handy Networks LLC to create gotHosting.biz. Our mission is to provide all NetObjects Fusion users with a exceptional hosting experience. After all, nothing less then exceptional is acceptable. The owners of Handy Networks LLC (Mike and Jay) are long time Fusion users and have been working behind the scenes with GotFusion LLC since day one. In fact, the gotFusion site is hosted on a fully managed colocated server at Handy Networks LLC's data center. Handy Networks has been a leading provider of Windows based hosting solutions since 1997. They are a profitable, cash-based business with absolutely zero debt. They own all of their equipment outright (it's not leased or rented). A strong emphasis on providing a superior customer experience. 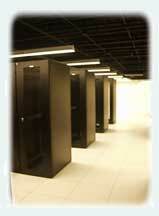 All servers are monitoring on a 24x7 basis to ensure quick detection and resolution of any service affecting issues. Beyond that, their technical support helpdesk is staffed 24x7 by real system administrators. The majority of their business comes from satisfied repeat customers and referrals, further reinforcing their commitment to ongoing customer service and support. All hosting technical support is currently handled by gotFusion's extremely qualified and experienced helpdesk. In order to obtain support, please visit our hosting helpdesk which can be found from your gotFusion account page Technical support is available 24x7. All billing is handled by gotFusion LLC. The name "gotFusion LLC" will appear on your credit card statement. gotFusion LLC will automatically rebill your credit card when your service term renews. All accounts include a 30-day "no questions asked" money back guarantee. You may cancel for any reason during the first 30 days and will receive a full refund. If you cancel at any point in time after your first month, you will receive a refund for any complete unused months of service. To cancel, please log onto your gotFusion account and use the support link. Include your Helm username and your domain name. All of our web hosting servers are powerful, industrial strength, 1600mhz fsb, Supermicro 6015 twins running dual quad core 64 bit processors with a minimum of 4GB of RAM per node. 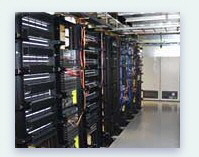 All servers utilize hardware RAID 1 arrays for maximum data redundancy. All of our servers are load balanced and never over sold. Click around on our web site and experience how fast our servers are, then compare this to your current host to see the difference. Additionally, all customer data is backed up daily to a dedicated network backup device. Our servers are housed in a state-of-the-art, $8.3 million data center facility that opened in 2003, located just south of Denver, Colorado. The data center features 24 x 7 onsite staff, raised floors, redundant power feeds, redundant UPS, and a 1000 kW diesel generator with 7 day fuel supply. Security to the building is handled by a Card Key System controlled by on-site NOC personnel Toshiba Closed-Circuit Digital Video Surveillance System. Fire Suppression is provided via Multi-zone monitors above and below raised floor (monitored internally and externally) and served by a dry pipe pre-action fire supression system. Climate Control cooling is provided by six 20-Ton HVAC Units, providing N+2 redundnacy Tempurature maintained at 68 degrees and 45% humidity. All of our servers are connected to a fully redundant network, which features GiGE connections to Savvis (which is housed within the datacenter) and connected directly via dual Gigabit Ethernet fiber, traffic is routed through sub-1 millisecond access to SAVVIS’ 4 national OC-192s. A second redundant connection is made through Internap which is connected via Gigabit Ethernet fiber to the Internap Denver P-NAP and located within the XO Communications central office 750 feet away. The Denver P-NAP provides us with optimized, direct access to several additional Internet Tier 1 providers including UUnet, Level3, Sprint, Qwest, Verio, Global Crossing and XO. Internap peers directly to 8 Tier 1 backbones in Denver and features proprietary intelligent routing technology to route traffic over the providers with the best performance. There is a fourth Gigabit Ethernet connection which is delivered from Level3 to the facility via single mode fiber from Level3’s Denver backbone point of presence.